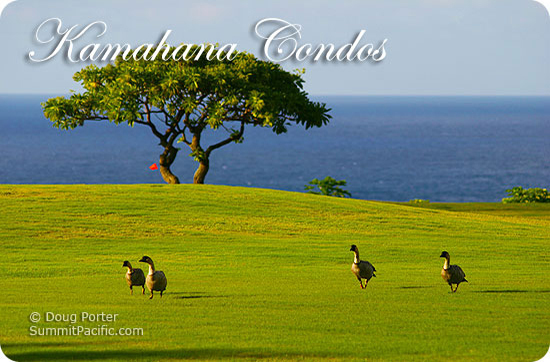 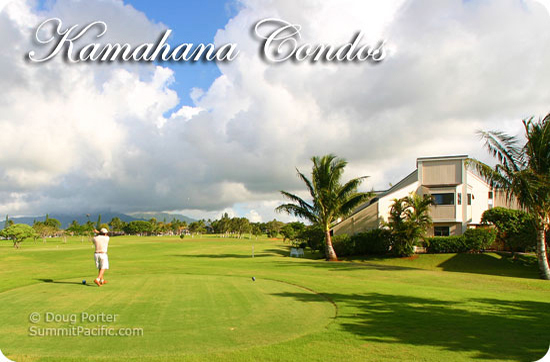 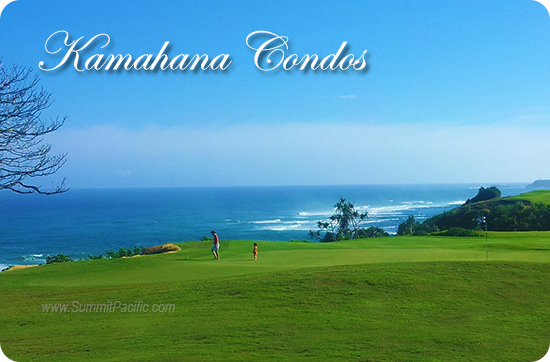 Kamahana in Princeville is located adjacent the Princeville Golf Course and offers serene ocean, mountain, and golf course views from its spacious 1 and 2 bedroom vacation rentals. 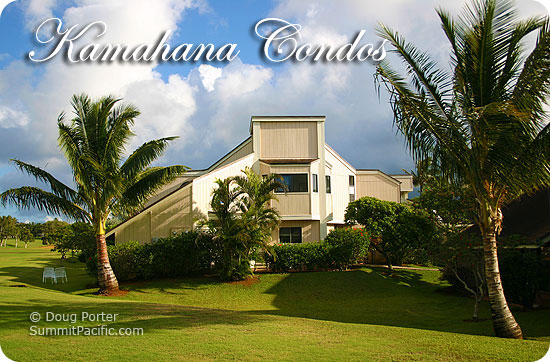 Suites include full kitchens and vacation conveniences with private and spacious floor plans. 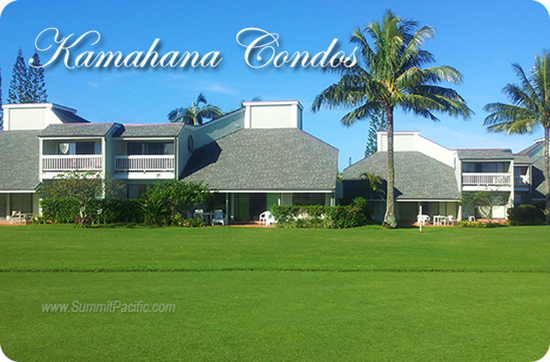 Relax on your ground floor lanai to enjoy the view, or stroll along quiet oceanfront paths. 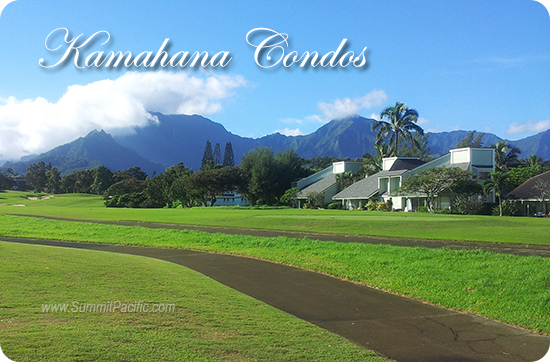 The Princeville St. Regis Hotel and several restaurants are all within easy walking distance. 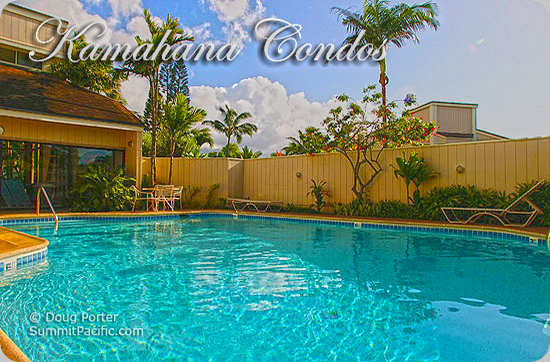 You'll find our condos comfortable, relaxing, tastefully decorated and very affordable. 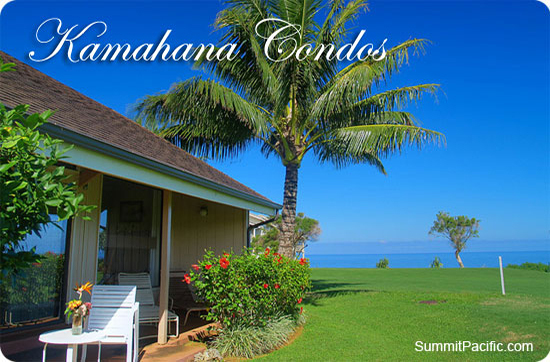 Whether you are looking for a relaxing get-a-way or a special honeymoon in paradise, we have the condo for you. 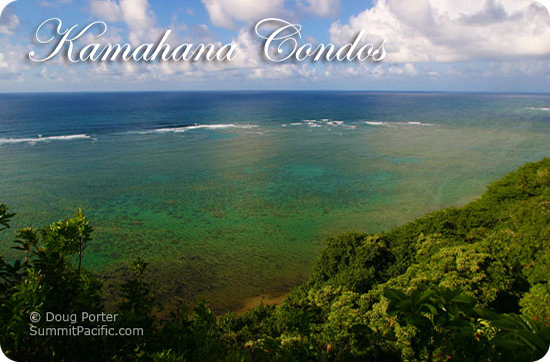 Click on the links above to inspect and reserve your slice of paradise.